A few tickets remain to see former congressman and physician Ron Paul at 7:30 p.m. today, Tuesday, Feb. 2, at Texas Hall for the Maverick Speakers Series event. 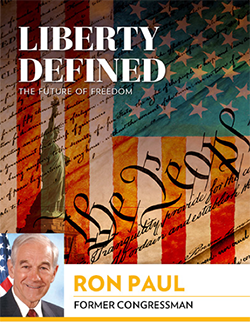 Dr. Paul will speak on "Liberty Defined: The Future of Freedom." A question-and-answer session and a book signing will follow the lecture. General admission is free, but tickets are required. Go to utatickets.com. Trinity South parking lot will be reserved in the afternoon today, Tuesday, Feb. 2, for preferred parking for the Maverick Speakers Series event. Former U.S. Congressman Ron Paul speaks at 7:30 p.m. at Texas Hall. 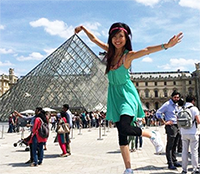 Come to the Study Abroad Fair and learn about the more than 500 study abroad programs in 62 countries where Mavericks can earn credit while having the adventure of a lifetime. The fair is 11 a.m.-2 p.m. Wednesday, Feb. 3, in the Palo Duro Lounge of the E.H. Hereford University Center. Applications for the Terry Foundation Scholarship program, the largest private source of scholarships in the state, are due Tuesday, Feb. 9. The program will help cover the full cost of attending college. Terry Scholarships are not awarded solely on financial need, test scores, or grade-point average, but also on leadership abilities. Students benefit from a designated academic adviser liaison, a peer academic leader, and a staff member to help them navigate through UTA resources. Read more about the Terry Foundation Scholarships. 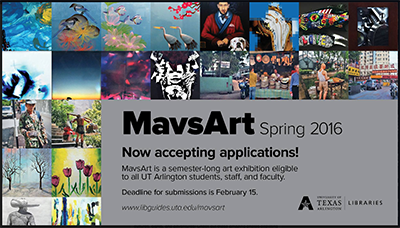 For more details, contact William Gunn at wgunn@uta.edu or 817-272-6107. The MavAlert system rapidly notifies students, faculty, and staff in the event of a campus emergency via registered email addresses and text message devices. To enable MavAlert text messages, add your mobile phone number or other SMS text message device to your UTA contact information and label it "mobile phone" via the drop-down menu. Log in to MyMav, then click on the Sign up for MavAlerts link in the right column. The Program Assistance Fund, overseen by Student Congress, has supplemental funding available to registered student organizations for programming and for travel to state, regional, and national conferences. Applications are available online and in the Student Congress offices in Suite B150 of the E.H. Hereford University Center. 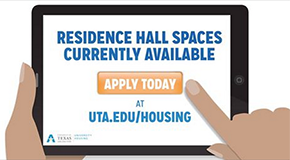 Visit www.uta.edu/sc or call 817-272-0556 for more information. Now you can work and workout thanks to the Central Library's computer stations with treadmills and exercise bikes. Both provide a tray for your mobile devices or books. 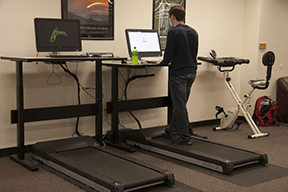 You can read, study, play games, check email, or watch a show while you exercise. The stations are in the basement. Students can find on- and off-campus employment through UTA's SnapJob site. Resident assistant positions are available for the 2016-17 year at SnapJob 8687. Apply by Monday, Feb. 8. Read more details. Join the Dial-a-Mav team for the Office of Development and Alumni Relations. Candidates should be comfortable making phone calls and have a clear, concise speaking voice. Apply for SnapJob 8725 and complete a second application. Look for openings in the UTA FabLab on SnapJob. Read about using SnapJob. Learn about job searches, interview tips, and more at the Career Development Center. Put your talents to work at the Maverick Musical, a competition where student teams perform up to eight minutes of Broadway-style productions. Performances can have singing, dancing, stepping, strolling, instrumentals, and other performance aspects. Each team will receive $150 for decorations and supplies for the performance. Up to eight teams will perform. First-, second-, and third-place winners will receive $750, $600, and $500, respectively. Register online by Friday, Feb. 5. Performances start at 7 p.m. Thursday, Feb. 18, in the Rosebud Theatre of the E.H. Hereford University Center. 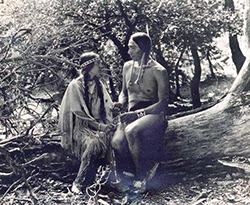 Showtimes are 7 p.m. Friday, Feb. 12; 5:30 p.m. and 8:30 p.m. Saturday, Feb. 13; and 5 p.m. and 6:30 p.m. Sunday, Feb. 14. Tickets are $12 per couple for the UTA community and Planetarium members and $15 for the general public. Call 817-272-1183 or email planetarium@uta.edu for more information. Explore online learning in K-12 and higher education in the K-12-focused technology sessions, sponsored by the College of Education. Students, faculty, staff, and community members are invited to the sessions at noon-1 p.m. Tuesdays in Room 111 of Trimble Hall. Upcoming topics include the flipped classroom and blended learning, Feb. 2; Twitter chats, hashtags, and social media as learning, Feb. 9; speaker Kayla Parker of Coppell ISD, Feb. 16; mobile learning and microlearning, Feb. 24; Harrison McCoy, connecting globally with technology, March 1; Makerspaces and UTA FabLab, March 8; and Jim Holland, Google Classroom, Canvas, and anything related to LMS/CMS, March 22 and 29. 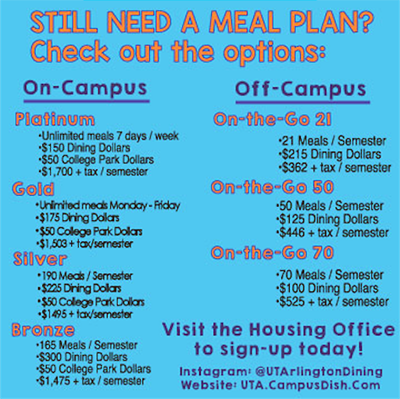 For details, contact Peggy Semingson at peggys@uta.edu. Students, faculty, and staff can learn about the Institutional Review Board (IRB) submission process, how to conduct ethical research studies with human subjects, and more at the IRB Mini-Conference 9 a.m.-4:30 p.m. Friday, Feb. 19, on the sixth floor of the Central Library. 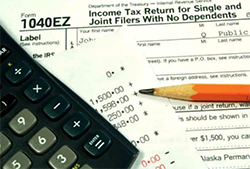 Representatives of Volunteer Income Tax Assistance (VITA) are available to help with figuring out your taxes. The free service runs through Tuesday, April 12, in Room B20 of the Central Library. Hours are 5-9 p.m. Mondays-Tuesdays, 9 a.m.-8 p.m. Saturdays, and noon-6 p.m. Sundays. Architecture Professor-in-Residence Mark Lamster will moderate a panel discussion with five nationally prominent speakers on “The Physical City.” He also is the architecture critic for The Dallas Morning News. A GMAT math class begins Monday, Feb. 8, and a GMAT verbal course starts Wednesday, Feb. 10. Cellphone bins are available at the north entrance to Davis Hall, the entrance to the Maverick Activities Center, and beside Starbucks in the E.H. Hereford University Center. The bins are for cellphones and cellphone batteries, accessories, and charging units. Acceptable e-waste items include batteries, ink and toner cartridges, copier fusing units and replacement parts, cameras, cellphones, personal computers, hard drives, monitors, TVs, printers/copiers, wires/cables, microwaves, electronic kitchen appliances, mice, keyboards, extensions, memory sticks/cards/discs, VHS tapes and cassettes, DVD players, and other electronics. Freshman progress reports on MyMav. The priority deadline to apply for graduation has passed, but students can still apply for the spring 2016 term. Candidates for graduation can apply through Monday, Feb. 29, with an additional $60 late fee. The filing fee is $40 and is non-refundable and non-transferable. Students should apply to graduate in MyMav. Read the graduation application instructions. Progress reports are being posted for freshmen through Monday, Feb. 22. The faculty deadline is Feb. 22, but instructors can report progress report grades at any time before then. You can view your progress reports as soon as the grades are entered. See your grades in the MyMav Student Center. See your academic adviser with questions or concerns. A list of advising offices is online. Fraternity and Sorority Life Open House Learn about Greek life on campus. 10 a.m.-1 p.m., Palo Duro Lounge, E.H. Hereford University Center. Fraternity and Sorority Life. Women Go Red Learn about heart disease and how to keep your heart healthy. 10 a.m.-2 p.m., Palo Duro Lounge, E.H. Hereford University Center. Health Services. Friends of the Library Houston Faust Mount II, Oilfield Revolutionary: The Career of Everette Lee DeGolyer. 7:30 p.m., sixth floor parlor, Central Library. Friends of the Library, UTA Libraries. UTA College Invitational Wheelchair Basketball Tournament Free. All day, Maverick Activities Center, Physical Education Building. Also, Saturday-Sunday, Feb. 13-14. Movin' Mavs. Maverick Musical Student teams perform Broadway-style productions with singing, dancing, stepping, strolling, instrumentals, and other performance aspects in this unique competition. Cash awards for top three acts. 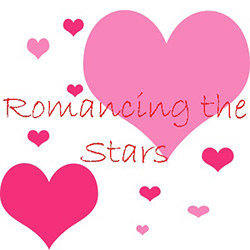 7 p.m. Thursday, Feb. 18, Rosebud Theatre, E.H. Hereford University Center. EXCEL Campus Activities. Focus on Faculty Krystal Beamon, associate professor of sociology and anthropology. Noon-1:30 p.m. Wednesday, Feb. 17, sixth floor parlor, Central Library. UTA Libraries. Off-Campus Mavericks Lunch Series Free. 11:45 a.m.-1 p.m. Thursday, Feb. 18, Rio Grande Ballroom, E.H. Hereford University Center. Off-Campus Mavericks. Pizza with the President Join President Vistasp Karbhari for lunch, remarks, and a question-and-answer session. Free. Noon-1 p.m. Wednesday, Feb. 24, Palo Duro Lounge, E.H. Hereford University Center. Office of the President. Resident Assistant Interest Session 7:30 p.m. Tuesday, Feb. 2, MAC Lounge. University Housing. Genomics Core Facility S3 Research Product Show Meet with vendors and learn how they can help your research. Free refreshments, snacks, lunch, and product samples. 11 a.m.-1:30 p.m., Guadalupe Room, E.H. Hereford University Center. Science, Genomics Core Facility. RAD Self Defense Class Self-defense course for female faculty, staff, and students. Register online. Free. 9 a.m.-6 p.m., Room 102-B, Maverick Activities Center. Also, March 26, April 9. UTA Police. Lean Six Sigma Prepare for the IASSC exam with yellow belt course. Register online. $895. 6-10 p.m. Mondays and Wednesdays. Division of Enterprise Development. Black History Month Lectures Heather Thompson, University of Michigan, “Mass Incarceration,” 7 p.m., sixth floor parlor, Central Library. Also, Theron Bowman, Arlington deputy city manager, “Lawz N the Hood,” noon-1 p.m., and attorney Jermaine Watson, “The Anatomy of a Lawsuit,” 1-2 p.m., Wednesday, Feb. 17, Room 200, Trimble Hall; Cheryl Wattley, UNT Dallas College of Law, “Ada Lois Sipuel Fisher and Her Fight to End Segregation,” noon-1 p.m. Wednesday, Feb. 24, Room 200, Trimble Hall. History, African American Faculty and Staff Association. Men and Masculinities Series Healthy relationships. Noon-1 p.m., Room 025, University Hall. LGBTQA Program. Maverick Major Fair Enjoy a fun atmosphere for learning about degree options and how to declare a major or minor. Enter a drawing for a Maverick Prize Pack.11 a.m.-1 p.m. Wednesday, Feb. 24, Concho Room, E.H. Hereford University Center. University Advising Center. All Majors Job Fair Meet with company representatives looking for new employees. Free for students and alumni. 10 a.m.-3 p.m. Tuesday, March 1, Maverick Activities Center. Career Development Center. Top honors: Point guard Erick Neal, top, netted UTA's first triple-double in men's basketball in last Thursday's game against Louisiana-Monroe. Senior Mya Anderson, bottom, was named to the Sun Belt Preseason All-Conference Softball Team. Sophomore point guard Erick Neal etched his name in UTA's record books with the program's first triple-double in last Thursday's game against Louisiana-Monroe. Neal finished with a career-highs in points (27), rebounds (10), and assists (12). The Mavericks came up short in a 99-88 loss to UL-M and fell 90-75 to Louisiana-Lafayette on Saturday. The Mavericks are 14-6 for the season and 5-4 in the Sun Belt Conference play. Upcoming games on the road include Georgia Southern Wednesday, Feb. 3; Georgia State Saturday, Feb. 6; and Texas State Tuesday, Feb. 9. After nearly breaking the UTA softball season-single home run record in 2015, senior Mya Anderson has been named to the Sun Belt Preseason All-Conference Team. UT Arlington opens its season Thursday, Feb. 11, against Texas Southern as part of the Maverick Classic. The tournament runs through Sunday, Feb. 14, with the Mavs hosting Texas Southern, Missouri State, Detroit, and Northern Colorado. The Mavericks open Sun Belt Conference play March 19 with a three game slate at home against No. 11 Louisiana-Lafayette. The UT Arlington men's and women's track teams continued their indoor seasons Saturday with strong performances against a large field of college and unattached athletes at the Houston Invitational. D'Undre Mitchell claimed the lone individual title for UTA, winning the 200 meters. The men's 4x400 meter relay team was first with Mitchell, Erik Martinsson, De'Vion Simpson, and Styron Williams. UTA will head to College Station to compete in the Charlie Thomas Invitational on Friday-Saturday, Feb. 5-6. UTA's Lady Mavs basketball team connected on a season-high 30 free throws to snap a four-game losing streak and upend Louisiana-Monroe 60-50 last Thursday. The team shot 60 percent in the game, the best performance under coach Krista Gerlich. After losing 63-52 to Louisiana-Lafayette on Saturday, the team is 8-11 in season play and 3-6 in the Sun Belt Conference. UTA continues its road trip at Georgia Southern Wednesday, Feb. 3; Georgia State Saturday, Feb. 6; and Texas State Tuesday, Feb. 9. The men's tennis returned to winning form Saturday with victories over Dallas Baptist (7-0) and DePaul (6-1) at the UTA Tennis Center. The Mavericks improved to 2-3 on the season after sweeping their home-opening doubleheader. UTA dropped just one match out of 17 played. UTA continues its four-game homestand with a doubleheader on Saturday, Feb. 6, against Cameron and Seminole. First serve is at 10 a.m. The baseball alumni game will give fans a chance to get a first look at this year's players while also taking a look back. A number of former Mavs such as Michael Choice, Adam Moore, Preston Beck, and Dillon Gee are expected to attend. 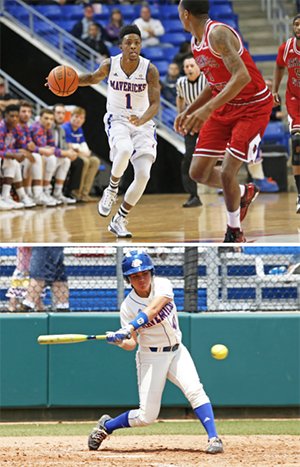 Student-athletes share why they love UTA in February and encourage alumni and others to share their reasons through email, social media, and even phone calls. Share your testimonials regarding your affection for UTA through social media (#WhyILoveUTA) or joining the Maverick Club. The goal of the Maverick Club is to provide scholarship assistance and academic resources and to forge lifelong friendships between student-athletes, alumni, and supporters. Read more about the Maverick Club. Upcoming intramural sports deadlines are basketball, Wednesday, Feb. 3; rock climbing, Wednesday, Feb. 9; racquetball, Friday, Feb. 12; indoor soccer, Wednesday, Feb. 17; tennis, Friday, Feb. 19; softball, Wednesday, Feb. 24.